Societal and environmental issues require that we rethink the planning and design of landscape, cities, and infrastructure. This lecture puts forward an integrative and multiscale design approach for flood control, urban development, and ecology. Cases from the Netherlands exemplify how urban planners, architects, landscape architects, engineers, and ecologists collaborate for social-ecological inclusive urban futures and water safety. 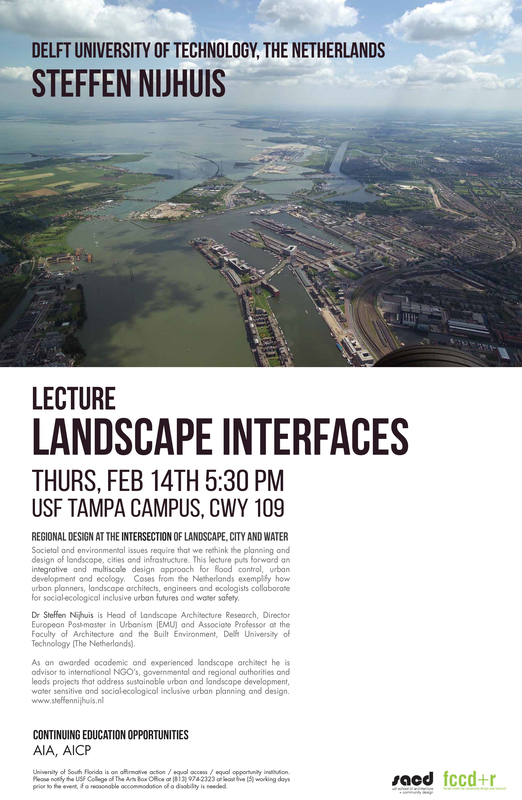 The lecture will take place at USF on Thursday, February 14th at 5:30 p.m. 1 HSW/LU.